Sony, the company known for its products of high-end features, design and off course price of its Vaio laptops, is now attempting to change the its perception with its new Vaio Fit lineup. The new line is comprised of the features of both the Fit and Fit E series in the price range well below $1,000. With Windows 8 and optional touch screens, both the Fit and Fit E series include 14” and 15” models. The Fit E series devices are more cost-conscious which are starting from just $549 while the Fit lineup starts at $100+. The Fit is available in brushed aluminum while Fit E has a plastic body. As Fit is being sold with an eye to youngsters, it is equipped with ‘big box speakers’ while the 15E has a subwoofer as well. Sony plans to improve the performance of webcam of Fit by integrating its Exmor R CMOS sensors, the ones used in Xperia phones which may boost the image even in low light. Direct bluetooth and Wi-Fi connections with other mobile devices are now possible which may work by just a touch with the laptop. 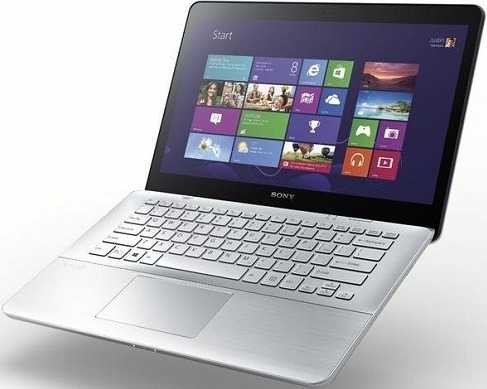 Sony Vaio Fit 14 review is exemplary thin and light laptop.